Central Asset Management Systems (CAMS) has its foundations in research conducted by post-graduate students and a research fellow at the Civil Engineering discipline of RMIT University, commencing in 2009. The CAMS solution has been developed based on a scientific approach and an extensive IP/database with its first and core product offering focusing on predictive modelling of building assets. Since then CAMS has been deployed to end users and enhanced to cover predictive modelling modules across broader asset groups. CAMS consists of a predictive tool, Qlik Sense to provide interactive data visualisation and the mobile iPad application for mobile inspection data collections. Stochastic deterioration models derived for asset components, accurate condition inspections using the iPad app and decision making considering whole of life of assets are the core innovation offered by CAMS. Asset managers can capture asset condition data and obtain various analysis reports related to asset deterioration, failure prediction, replacement scenarios, risk and budget forecasting, allowing them to make informed decisions related to maintenance and budget allocations. Building Managers and Facility Managers rely on building condition assessment data to make decisions on how to optimise their capital and maintenance spends. Predicting the rate of deterioration enables an extension of the asset life, and hence return on investment for the asset owner. Driven by this opportunity, their engineering expertise and availability of extensive building databases, RMIT commenced the development of CAMS with the aim to efficiently capture large volumes of building data (down to an individual component level) across extensive building portfolios and in turn generate predictive analysis models with 40 year data curves across 760 building components. The large data quantities often caused the system to crash and analysis to stop. The scalability and reliability of the software was in doubt and a change had to be made to ensure the software could be utilised to it’s full potential. During the project, the time and cost for data management and manipulation as well as a gap in user experience caused further challenges for the CAMS team. This included the ability to build a sustainable solution that could cope with the increasing data volumes, to optimise data management efforts and to provide an easy end user experience through visualisation. As the software was developed by a team with an academic background, the initial product commercialisation and service offering growth was limited. Cast Solutions was engaged to help the CAMS team in building a solution that could cope with the increasing data volumes, optimise data management efforts and provide an intuitive end user experience through visualisation. In addition, Cast Solutions was tasked to support the development of a business plan that would help CAMS to commercialise the product and grow their service offering. Cast Solutions helped the CAMS team to assess various data analytics/business intelligence tools on the market resulting in the selection of Qlik Sense as the best in class option. By working with the CAMS team, we were able to design, develop and implement a set of Qlik dashboards to help improve site data capture quality. Due to the success of this initial dashboard project, additional dashboards were developed to improve user experience and visualise the outputs of the predictive analysis. By also providing strategic advice, we were able to plan out a model for the commercialisation and growth of the CAMS service offering. By working with the CAMS team, we assisted in the development of a business plan with a focus on market analysis, strategic direction, growth and action planning. Data volume issues were resolved allowing CAMS to scale their business, transforming user experience and reducing internal cost of data management by 500%. The CAMS engine data manipulation time was reduced from 3 days to 30 minutes. A 600% improvement in site data capture quality was achieved through a simple “Live QA” visualisation dashboard. This reduced return-to-site costs to zero and enhanced the quality of the CAMS software outputs by 300%. 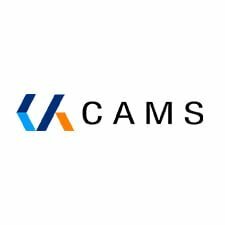 CAMS has changed their service offering, from a static paper report with proposed Opex and Capex scenarios, to an offering that provides their clients with direct access to Qlik dashboards to enable business decision scenarios to be tested. CAMS’ clients now depend on the data to undertake self-service data discovery as part of their day to day operations. The CAMS team, through our strategic workshops, now has an industry-ready grasp on the product commercialisation and growth life cycle. Why was Cast the right partner? Cast Solutions brought the right team which not only provided the industry and technical capabilities and experience, but was also able to help CAMS with the strategic direction of its business. Working collaboratively, we defined CAMS’s strategy and further enhanced the technology solution to be sustainable, reliable and to create an intuitive user experience. Like RMIT/CAMS, Cast Solutions is results-oriented and focuses on creating value for the end customer, improving efficiencies and business performance.